There’s so much packed into one cruise, that words simply won’t suffice. So check out our video to fully experience this multi-faceted voyage including the awe-inspiring natural wonders of New Zealand, the cosmopolitan excitement of Sydney, and the frenetic energy of the world’s largest gay and lesbian celebration – Sydney Mardi Gras! New Zealand welcomes you in the vibrant harbor city of Auckland, a remarkable city boasting the country’s largest gay population. This stunning, cosmopolitan destination makes the perfect start for an all-gay cruise as we head south to explore. After a relaxing day at sea, spend a day in the heart of wine country from the stunning port city of Napier. Explore New Zealand’s capital city of Wellington, famous for its breathtaking countryside and inviting harbor as well as magical scenery from a dozen famous movies. The dramatic mountain vistas of Christchurch, the largest city on the South Island, bring you in touch with the most “English” city outside of England. After all that exploring, two sea days will be a welcome break to recharge and refresh as we head to Australia. Staggering natural beauty meet Australian laid-back charm in the stunningly beautiful city of Hobart. From the bustling market to craggy mountain ranges it’s a city of brilliant contrasts, fabulous restaurants, and endless options for exploration. Our overnight stay in cosmopolitan Melbourne give you ample time to discover classic Victorian buildings, serene parks & beaches, a magnificent art scene, Australia’s best food scene, and a vibrant gay nightlife. 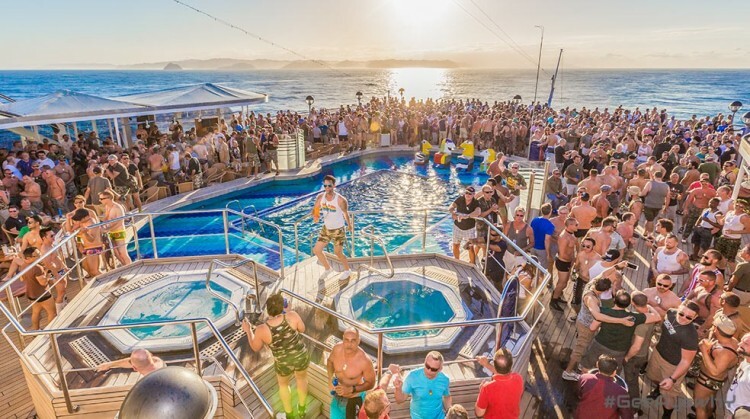 You won’t want to leave, but there’s one more day at sea as we head into glorious Sydney in time for the world’s largest gay and lesbian celebration. Whether it’s an Atlantis day at sea or returning from a day of adventure, there’s so much to enjoy onboard Noordam. Relax by one of our two stunning pools, learn cooking in the culinary center, or pamper yourself in our expansive spa. Work out in the fully equipped fitness center packed with plenty of challenging classes. Join one of Malcolm’s zany pool games. Drag yourself out to Bingo with Miss Richfield. Or learn something new at one of our enrichment lectures. We’ll keep your days full of options, including the one to do absolutely nothing at all.